Immunizations are a necessary preventive measure for infants, children, and adults. 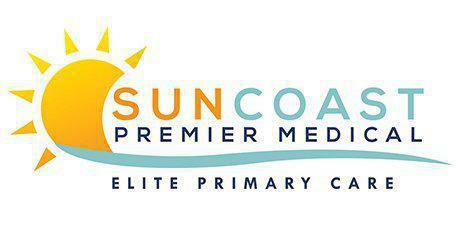 As a primary care doctor, Mario R. Perez, MD, and the staff at SunCoast Premier Medical with locations in Clermont and Davenport, Florida, provide the most up-to-date immunization options to patients trying to stay healthy and prevent the spread of certain diseases. Immunizations, or vaccines, strengthen the body's natural immune system and help your system fight off specific illness. People tend to associate them with infants, but they are given at all ages. When Dr. Perez suggests his patient get a flu shot, he is providing them with a way to strengthen their body against the most likely flu bugs for that season. A small amount of the microbe injected into the patient causes the body to develop antigens that help fight future infections. The next time that same microbe is detected; the immune system response stops it from multiplying to prevent infection. In rare cases, the side effects are more severe, causing an allergic reaction or even a more complex problem like a seizure. Do Adults Need Immunizations Too? It is just as important for adults to get vaccines, especially as they age. Childhood immunization can wear off, so adults need boosters. Getting an adult vaccine can help protect kids, too, especially from seasonal illnesses like the flu. In some cases, adult vaccines are a requirement when traveling to developing regions. What is the Zoster® Vaccine? The Zoster, or shingles, vaccine cuts the patient's risk of developing shingles later in life by at least half. That's critical, especially for the elderly. The vaccine injects weakened chickenpox virus to prime the immune system against a dormant infection. Shingles are very painful and can cause a range of complications such as nerve damage. Getting the vaccination is a prudent preventive step for older adults.